It’s been a busy couple of weeks for us! It’s been a busy couple of weeks for us! From volunteers and special projects we have found ourselves coming and going. We wouldn’t want it any other way, though! Without amazing volunteers, our maintenance team and other employees would be taxed far beyond what we already put them through. They are small in number, but they are mighty in deed! So giving them any type of help is something I LOVE being able to do. Who did we have? 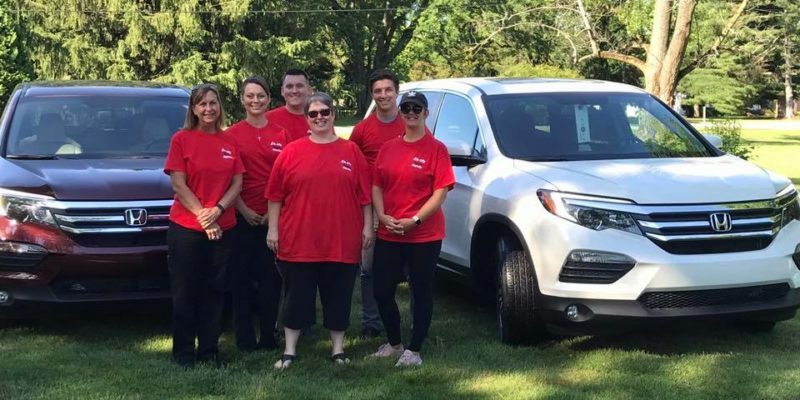 First, a small group from Kokomo Auto World celebrated Honda Gives Back Week by working at one of our group homes painting a fence and power-washing a deck of its paint. They’ve been collecting aluminum cans for our friends at Howard Haven to recycle, and we are thankful they included us in their week of charitable give back. We can’t wait to get to know them better and partner with them on future projects! Then, we had a group from Delphi Technologies and APTIV who came out in full force. More than 30 employees split off in to groups to conquer many projects on our wish list. Each year they coordinate with the United Way of Howard County to go out in the community to make a difference. I can’t even begin to tell you all they accomplished because as they were finishing one thing they were already asking what they could do next. Oh, and they did this all on a 95 degree day without a cloud in the sky! Looking back, it’s amazing all that has been accomplished that wouldn’t have happened if it weren’t for people being willing to give up their time and talents to serve others. We are forever grateful. I didn’t want to write much because I wanted to be able to show you in pictures some of the amazing work they accomplished and why they mean so much to us! If you have a group looking for ways to get out in the community and make a difference, don’t hesitate to contact us. We have a running list of projects on the wish list or the back burner that don’t always make it to the current to-do list. 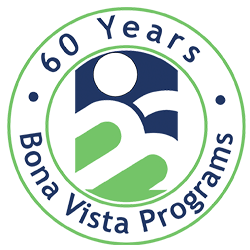 You can e-mail me (Alison Brantley, Director of Development & Training) at abrantley@bonavista.org or call 765-457-8273 ext. 335 and we can chat about what you have in mind. We are always open to new ideas as well – so feel free to surprise me with what you’ve been thinking about!